Extended a business trip to London with a detour to Vilnius, Lithuania and environs. Got back today. While in Vilnius, I went to the NKVD/Gestapo/KGB Museum, and on my last day, the massacre site at nearby Ponary/Panieriu. In between, I got a rental car and drove about 100 km to the west of Vilnius to a city called Kovno/Kaunas -- site of the infamous 'Ninth Fort'. And no, the trip wasn't all death and gloom. In fact, I found Vilnius and its inhabitants to be charming and worthy of another visit. 1) Government identification records are the clerical basis for mass murder and other atrocities: No, not every government ID scheme leads to genocide and expatriation. But for the collectivists of both the German Reich and the USSR, each victim's identity card was both part of the initial targeting and the final "production record". 2) Get to the forest early if you want to live: If you think they will be coming for you, you are probably right. Plan not to be where they know you work and live. Act early if you want to maximize your chances. You and your family will die if you are at your government-approved address. 3) The Bad People will have lots of help from your neighbors: The most disturbing moment for me in the KGB museum was not in the execution or interrogation/torture cells. It was realizing, while moving through the excellent exhibits on the mass deportations of Lithuanians after "liberation" by the Soviets in 1944, that most of the deportees (many of whom were subsequently executed or starved or died of exposure and disease) had been betrayed to the NKVD/KGB by their neighbors. 4) "Fascism" is not the only mortal enemy of freedom and life; the real enemy is collectivism in any form: At each of the memorials, one could tell the provenance of any signage by its reference to "fascism". Mostly, such markings were from the Soviet era, during which -- not coincidentally -- many more millions of innocent human beings were killed by the "enlightened" Communists than had been slaughtered by the Hitlerites and their collaborators. While it is too much to expect the Soviets to acknowledge these facts, it is essential that freedom-minded folks grok that collectivism, in any form, can and usually does lead to the mass grave. 5) Never report en masse when ordered to do so: Nothing good ever happens to folks who do. 6) Food and ammunition will be the vital shortages you must address in order to live: Empty weapons and bellies a successful resistance does not make. 7) The Bad People will torture and kill those who help you: Get used to the idea. Retribution killing is a standard totalitarian play. Try to avoid jeopardizing your allies to the extent possible, but know that they too will be swept into the whirlwind. 8) The Bad People will torture and kill your family members: Sippenhaft ain't just a chapter in Vanderboegh's long-awaited novel. The KGB museum was filled with execution orders with notations indicating that not only had the subject been killed per order of the Party, but that "special measures" had or would be taken against the victim's family. 9)You must be prepared to fight until victory or death: Once you go to the woods, you are there for the duration. 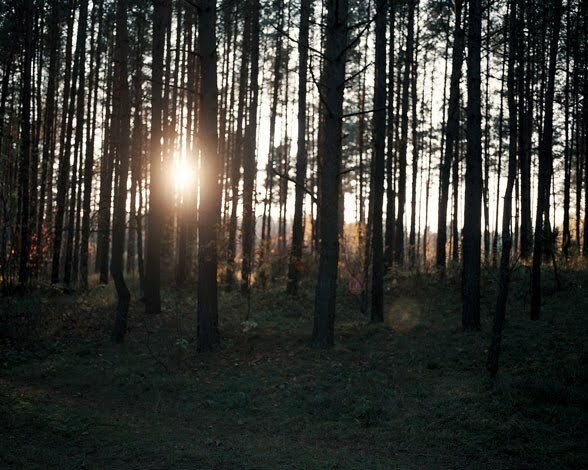 The Baltic "forest brothers" stayed out until they were killed or captured. More on them in the next part of this report. 10) If you think it can't happen here, you are wrong. The Polish and Lithuanian Jews who were ground into dust by the Einsatzgruppen thought the same thing. So did the Lithuanians who couldn't believe that the Communists under Stalin and subsequent regimes would hold their passionate patriotism against them. Almost all of those folks who believed "it couldn't happen" died. A few survived by running into the woods, or by bearing up under the brutal realities of the Gulag, year after year after year. Each of them knows the single biggest lesson from Lithuania: naked, brute force can and does triumph over kindness, love of kin and country, and simple human decency -- often for decades or more. not even 3% are gonna get it. The situation will seem very normal to the masses, not even a slight deviation. Just an inconvenience. If you have not felt gods presence then consider the outcome of no god for your preparation. Your guide has presence or go with intuition. "...naked, brute force can and does triumph over kindness, love of kin and country, and simple human decency -- often for decades or more." Even though I've seen the evidence in all the history books I've read, this is the scariest line in your post simply because it's absolutely true. Of course, the lessons suggested from the Lithuanian model would not address the strategy of taking the offensive position and waging secret, private wars of attrition, a la IRA, ETA and so on. These would seem viable options, if one already counted one's life as forfeit. Part II will deal with what I learned about the active resistance in Lithuania by both Jewish and non-Jewish partisans. Much heartbreak there as well....wait for Part II of this report. I have recently been contemplating the purchase of land in a remote location. Living within a medium sized city frightens me with all that's coming down the pike! Having read these "lessons" was enough to help me decide. I will spend this weekend viewing some properties that meet my "get out" criteria. BTW... thanks for all you do sir. I have not the slightest doubt that your voice WILL be a factor in lives saved sometime in the not too distant future. Excellent post, words and links. Thanks. I shall send it around, especially to a Jewish sister-in-law who showed me marvelous pictures of her grandfather as a German fighter pilot in WWI, and said she was ashamed. I explained to her that there was certainly no reason to be ashamed of him, in fact she should be proud of his service, and that the Germans in WWI had nothing in common with many of those in WWII, however I do not disparage the German main force army troops in WWII who were, for the most part, fighting for their country honorably and there is no reason that they should not be allowed to have reunions. She really surprised me when she made that statement. Humans seem to have a gift for denial. We tend to see the world how we wish it would be, not how it really is. This, of course, prevents us from planning for reality. Even after the exterminations started, the Jews for the most part just could not believe it was happening. Hard to blame them, we do it all the time, when dealing with our spouses, kids, jobs and mostly ourselves. It sometime hard to take the rose colored glasses off. But, it must be done, if we are to successfully plan for the future. In other words Ladies and Gentlemen surrender will not be a viable option as death will await you at the end. Yes, the old, infirm and sick will have to fight/resist with as much dignity and ability as they can muster. I don't expect many to do that but there will be some. Figuring you are already dead makes it much easier and very easy when you absolutely come to terms and understand and realize what that means. All the fear and everything goes away. And since we'll all die anyway...it doesn't really matter. What does matter is on your terms and for what is good, principle, freedom all those things that most people don't seem to understand. UAVs and thermal sites effect the safety of the woods. The woods were valued as a safe retreat, a mostly safe haven. What is the equivalent today? Is it possible to hide in plain site in urban areas? Or are woods still safe havens? Sofa: Don't forget ground-penetrating radar as well. Remember though the huge amounts of territory that will have to be covered, as well as the ability of folks on the ground to dictate who will receive their overt protests. I was referred to your site by a reader of mine, www.truthandcommonsense.com. You are absolutely right about the lessons we can learn from history. None of what we are seeing happening now is new. It has happened before in some form or another, and as always there are people who desire to rule us trying to take advantage. I wrote about a period of time like this in a novel, the original draft penned in 1997 called REVOLT (www.revolthebook.com). It is set in the West around 2015 in the second term of a narcissistic President who believes he is destined to rule the nation and is executing plans to do exactly that. It is a political thriller about a nation on the brink of collapse and the men and women who refuse to submit. Back in 1997 when I showed the draft around the people laughed saying "It could never happen here." I pulled the manuscript off the shelf in 2008 and it was published this year. Keep up the good work. I'll add your site to mine. As long as we can we need to tell the truth, until Obama somehow figures out how to control this aspect of communication which will be necessary for his agenda to move forward after they lose control of Congress (from our lips to God's ear in November). I sure hope Glen Beck doesn't read that. Thermal sights can be fooled. The lay of the land and what it is composed of can affect GPR. We have been fooled by TV on how good those things work. We can beat them if we use our heads. Remember many of the people who have worked on these things in the military are your fellow patriots. BTW - thanks for the replies and to Mr. Concerned American, the link was great. You always have the greatest resources!! Thanks. Also, if you see the Mystical Shadow Agent known only as "Pete", please tell him that Slobyskya's younger sisters, Irenovich and Ileanovich, send their salutations. And Semper Fi to The Last Breath. anon@3:57 - Any info or links you care to share on working around thermal sights? All this talk about Lithuania is instructive, except in this country we have The Constitution of the United States. In this country self-defense begins with defense of the Constitution. Defense of the Constitution includes defense of Constitution-based processes among them the fact-based judicial process. The self-started Presentment Grand Jury is the investigative/intelligence arm of the Militia. Should a judicial officer commit Treason and forcefully impede or obstruct that Grand Jury the Militia may use only sufficient strength to unseat that officer. In America we "use government to fix government"(Stanley Crouch). We don't pack food and ammo and run for the hills. In America "we are not allowed to despair for the Republic" (T.Jefferson) and this includes apocolyptic visions of totalitarian takeover. Very sobering lessons written up there - Thank You for writing this post. We will likely be living in 'Interesting Times'. Those damnable surveillance drone aircraft scare the crap out of me. Being in the air is a major advantage for anyone wanting to keep an eye out for insurgents. My friends look at videos of Middle Eastern towel heads getting blown to heck, but I wonder how they would feel it those pictures were of themselves or their families - scary, very scary indeed. Tools are tools - its the people who man the controls which determine the good - bad guys. Please detail, with verifiable corroboration and citations/links, all such judicial officer removals in all US jurisdictions since 1940. People need to get it into their heads that should the govt go actively bad & the 'domestic terrorist' hunts begin in earnest, there likely won't be time/opportunity to retrieve family members & split as a group. Also understand that children will very likely be held @ school by school personnel for later round-up by 'authorised' govt agents. Yes, they'll be hostages/info sources & propaganda tools, & if you doubt that YOUR kids can be made to give you up & work for the Imperium, recall the govt BS fed to the press about the Branch Davidians, the McMartin pre-school case, & the similar witch hunt that went on in Bakersfield. Expect the same techniques that turned children against their parents (even when the kids KNEW that the charges were lies) to be used on those taken by govt & that said 'persuasion' will be effective in many cases. Prepare NOW for that eventuality & that you may have to consign them to the realm of the lost FOREVER. A tough thing to do, but you'd better start thinking about unpleasant things like that & worse NOW in order to have @ least a chance against what will, if history's a guide, be a totally unscrupulous & incredibly evil foe. To this end, I adopted a policy many years ago that if a loved one was ever snatched for ransom I would consider them already dead & begin a 'blood hunt' for their killers. And for those who may be unfamiliar w/ that term, rent the Steve McQueen movie Nevada Smith, it'll tell you all you need to know. Other versions would be the Israeli Gideon teams or the Australian kurdaitcha. The final, & possibly worst, thing to prepare for is what to do w/ loved ones/friends who've been successfully brainwashed & can't/won't be returned to normal. Yeah, it's horrible to have to ponder, but if things get as bad as many expect, it's wise to get such ugliness dealt w/ well beforehand so it won't slow you down @ a critical point & screw you & others up. Think the unthinkable & shed your tears now, then grit your teeth & fight w/ a clear head & a cold heart. Dan is right- force works, against a smaller force. Anony is also right. The feds, probably made up of decent cops following the orders they were given, will "seize" people and places. I did. If I got a call from my boss saying "Go here and do this" I did. Only later, because we were local PD and could walk away, would the questions start. If the situation was just too wrong for us to deal with, we said no. Sadly, there was and always will be a small percentage that will do what they are told. I was on the radio and the host made a comment I felt worth repeating. "A man alone is a target. A hundred men standing together is a force." Ask yourself if the feds come for your neighbor because of his "crime" of having too many guns or saying the wrong thing out loud, or because he was the newest "threat" Janet N. saw in her fantasy, what will you do? I asked that question of a police Sergeant friend of mine about his best friend, both closet constitutionalists. He studied me for a minute, I could see he was struggling with what he would do. He answered, "Much to my shame, I think I would let them take him. And he's my best friend." This is the struggle people will face. In my novel, the townspeople refuse to let the feds take a farmer for some violation of an EPA regulation. That starts the confrontation. I predict, as I did back then, the outbreak of physical resistance will be from the West. The men and women out there are being starved out of existence by more and more aggressive regulations by eco-nuts. Recently, the feds were trying to cut off even more land from access by ranchers. That is food out of their mouths and impacts their family's future. People in D.C., raised in tofu eating homes and educated in places like Harvard have no idea how little patience those people have left. Only their good will prevents them from telling the lefties in charge to pound sand. If the economy goes further south you watch, some frightened politicians will suggest a harder line drawn by government. Many of them are afraid of the system crashing and they will be held accountable. Unless the gear used by Uncle is better than what's been revealed, it seems to me that one's thermal signature could be effectively hidden by insulation of some sort. What kind that would be, how practical it would be, & how easy it'd be to make/distribute I don't know. Just a thought I picked up years ago from either the novel The Master Sniper or from another story. Hiding foot/handprints from the latest civvy detectors might be technically easier than a full body, but gad would it be uncomfortable & especially so in the torrid zone & during summer in the temperate ones. The worst part of this whole sorry saga is that, as much as i love my parents, i can't help looking at them an thinking "gee guys, thanks for taking your eyes off the ball in preference of your retirement fund..."
For me all government is the same. Yes, some are less evil than others, but in the end the U.S., or any other "free" country, has the seed of despotism. This is because most everyone agrees the government is above the moral law in various ways. And this, ultimately is where the right to arms comes in. You have a right to defend yourself, and no individual can morally tie you up so that you can be beaten up or robbed. If an individual cannot rob you, the government cannot rob and call it taxation. If it's evil for you, it's evil for the state. But give a mouse a cookie... and here we are. "To this end, I adopted a policy many years ago that if a loved one was ever snatched for ransom I would consider them already dead & begin a 'blood hunt' for their killers. " by a smart commenter. I too have implemented that very policy. Although neither Italian nor Scot, I believe in Vendetta and Feud. It may not stop the original act, but it sure as Hell makes them back up and look at their hole card before subsequent acts if the price they paid was high enough the first time. Advance contingency planning is always a good thing. If you're going to die, at least take one or some of the opposition with you. what author wrote about the russian revolution and simply asked WHY did all live in fear waiting...for their door to get that knock ? WHY didn't we gather together in the hallway with pokers,shovels and sticks and kill them first and then go and kill all who sent them ? some will sit like zombies and others will be hypercharged. in regards to the russian revolution and fighting back, I believe the author was Alexander Solshenytzen. I misspelled the name but you get my drift.